This monument is the first example in Turkey signifying Atatürk’s revolutionary principles in an abstract way. The flourishing of Atatürk’s principles in a devastated Anatolian city during war times is expressed in this piece of work, as rooted firmly on strong grounds and growing fast like the mushroom of the atom bomb. Every outward projection on the sculpture symbolizes one of the revolutionary principles of Atatürk. I am here to give a talk Elementary mathematics as seen by a mathematician, based on a couple of chapters from my book. Moreover, it was the book that had taught me to read, and it remains the most powerful intellectual experience of my life. The story deserves to be told because it provides the best illustration of the advantages of synthetic phonics. (Of course, Russian alphabet is more phonetic than English, which makes synthetic phonics method much easier to use; but I will tell more about that and about comparison between synthetic and analytic phonics in later posts). By age of 5 or 6, I somehow learned alphabet — mostly by asking my parents and my brothers (who were at the time about 14-15 and 10 -11 years old). Crucially, my mother was an elementary school teacher and for that reason, I believe, letters were explained to me by corresponding sounds, not by their names. No-one, however, taught me to read in any systematic way. For some time the relation between letters on paper and words remained a complete mystery for me. When my brother read me a book, I was very suspicious and occasionally complained to my parents that he was inventing the words. 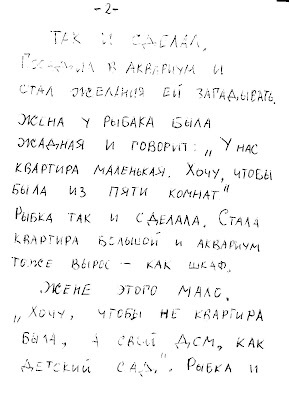 Then one day I was sitting in a quite corner with Vladimir Suteev’s book Под грибом. 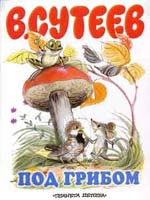 Looking and the picture of a mushroom (“гриб” in Russian) I suddenly realised that the letters П, О, Д, Г, Р, И, Б, О, М on the cover could mean only “Под грибом”, “Under a mushroom“, and nothing else. I remember I was surprised by my discovery and decided to check. Under closer examination, it was still П-О-Д Г-Р-И-Б-О-М. “So what how they were doing that” – thought I for myself, then opened the book and read it in one go, from the beginning to the end. Then I went to the kitchen to report my progress to my mother. “Mom” – said I, -“I red a book”. “Really?” – said my Mom without any sign of surprise. To prove my point, I read the book to her aloud. Next day, I remember, I went to the village library and enrolled as a borrower. Many years later, I taught my children to read using the same approach —The Tale of the Fisherman and the Fish was improvised by me for that very purpose. The most bizarre turn of the story, of course, is that my daughter, when she came to USA at the age 5, taught herself to read in English using analytic phonics method — I’ll write about that experience in another post. Как то раз застал Муравья сильный дождь. Куда спрятаться? Увидел Муравей на полянке маленький грибок, добежал до него и спрятался под его шляпкой. Ползет к грибу мокрая Бабочка: – Муравей, Муравей, пусти меня под грибок! Промокла я – летать не могу! – Куда же я пущу тебя? – говорит Муравей. – Я один тут кое-как уместился. – Ничего! В тесноте , да не в обиде. Пустил Муравей Бабочку под грибок. А дождь еще сильнее идет …Бежит мимо Мышка : – Пустите меня под грибок! Вода с меня ручьем течет. Мимо гриба Воробей скачет и плачет: – Намокли перышки, устали крылышки! Пустите меня под грибок обсохнуть, отдохнуть, дождик переждать! – Тут места нет. -Подвиньтесь пожалуйста! – Ладно. Подвинулись нашлось Воробью место. А тут Заяц на полянку выскочил, увидел грибок. – Спрячьте, – кричит, -спасите! За мной Лиса гонится! 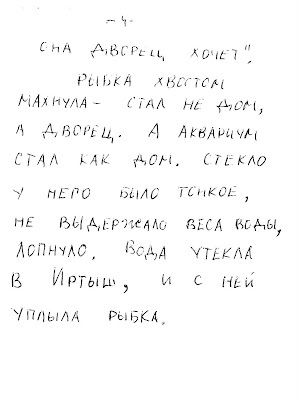 – Жалко Зайца, – говорит Муравей. – Давайте еще потеснимся. Только спрятали Зайца, Лиса прибежала .- Зайца не видели? – спрашивает. 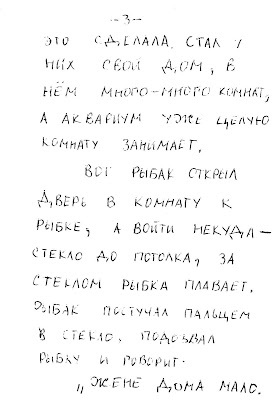 – Не видели. Подошла Лиса поближе, понюхала: – Не тут ли он спрятался? – Где ему тут спрятаться! Махнула Лиса хвостом и ушла. К тому времени дождик прошел- солнышко выглянуло. Вылезли все из – под гриба – радуются . Муравей задумался и говорит: – Как же так? Раньше мне одному под грибом тесно было, а теперь всем пятерым место нашлось! Не досказала и ускакала. Посмотрели все на гриб и тут догадались, почему сначала одному под грибом тесно было, а потом и пятерым место нашлось. А вы догадались? Diego Rivera. The Mathematician. 1918. Oil on canvas. Museo Dolores Olmedo Patino, Mexico City, Mexico. 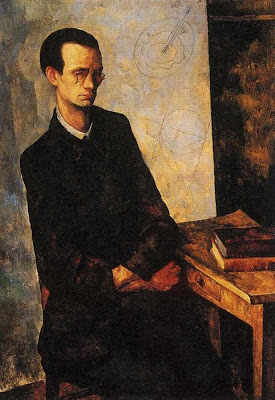 Among Serban Chelariu‘s paintings, there are a few with titles like Absicissa Coordinate Applicate, Crucified Cartesian Man, and even The Mathematician. Never in my life I had a better piece of pork than at The Appletree Inn in Marton, North Yorkshire. Their Confit Belly of Pork with Mustard Mash & Apple Sauce was subtle, succulent, and indescribably flavoursome. As a starter, a Whitby Crab Fishcake with Sweet Chili Sauce & Crème Fraiche was a quite consonant prelude to the main course. The place is quite popular and should normally be quite busy, a booking is recommended. Luckily, I happened to be there on the night of the rugby final, and the pub, with no TV, was half empty. Even emptier were moonlit roads of Yorkshire on my way home. And yes, they collect money for a campaign against hunger in the world: “Fight Hunger — Eat Out”. 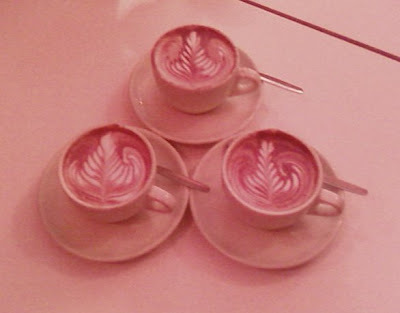 Three cups of cappuccino at Flat White Espresso Bar (17 Berwick Street, W1F 0PT, 020 7734 4384); I wrote about it in my post Best milkshake, best cappuccino in London. 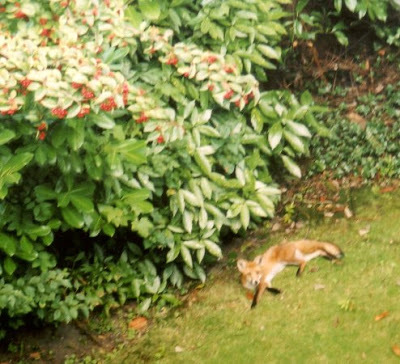 An unusually warm Autumn resulted in foxes’ behaviour shifting into the Spring mode: they started to sunbath in my garden. 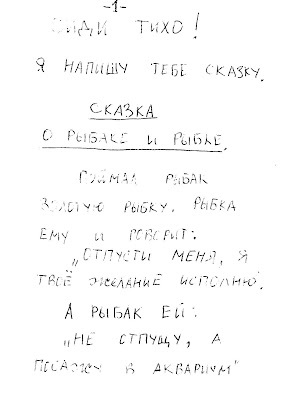 On request from my daughter, I place here my version of Pushkin’s The Tale of the Fisherman and the Fish, writen either for her or her brother when they were about 5 or 6. It is interesting as an exmple of phonetics-based approach to teaching of reading.